Share your photos on Instagram with the hashtags #hideandseekdress and #oliverands. After successfully sewing this pattern, you will have developed the following skills: pockets, sleeves, buttonholes, gathering. Light- to medium-weight woven fabrics like quilting cotton, broadcloth, lawn, poplin, shirting, voile, linen, fine-wale corduroy, and silk shantung. Coordinating thread, 1/2" buttons (three for sizes 6M-6; four for sizes 8-12), lightweight fusible interfacing. 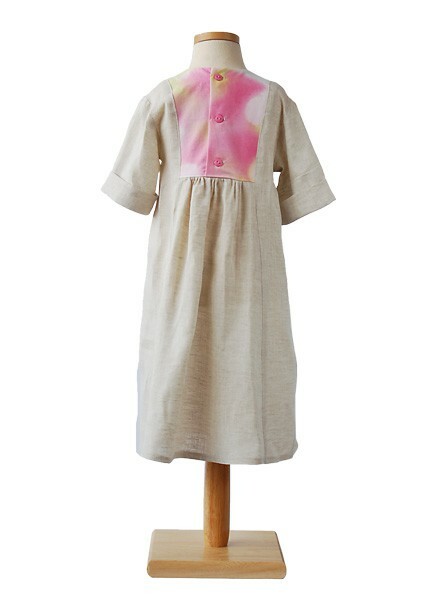 Dress Length* 17 1/2" 18 1/2" 19 1/2" 20 1/2" 21 1/2" 22 3/4"
Blouse Length* 11 1/4" 12" 12 3/4" 13 1/2" 14 1/2" 15"
Dress Length* 24 1/4" 25 3/4" 27 1/4" 28 3/4" 30 1/2" 32 1/2"
Blouse Length* 15 3/4" 16 1/2" 17 1/4" 18" 18 3/4" 19 1/2"
As always, a joy to sew and give! I have made quite a few different Oliver + S patterns and I am always pleased with the results and the excellent pattern instructions. The Hide and Seek Dress and Tunic was no exception to this rule. I was pleasantly surprised by the interesting design and how easily it went together. I made it dress length and added the in seam pockets with the welts. I also added some topstitching to the side/front and back seams and was pleased with the effect. I used a very light, soft denim for the main dress and a cotton novelty print for the bodice, pocket welts and sleeve cuffs. I have not had time to make another but the fabric and pattern is sitting on my table waiting for a bit of time! Thank you. This was my first Hide and Seek Dress. I made dress length, short sleeves, pockets with welts. 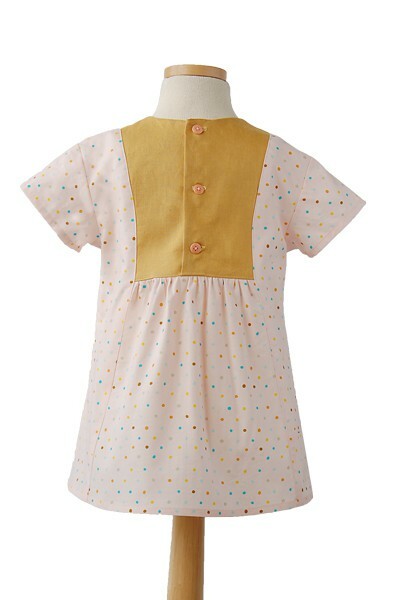 I'll use this pattern again after I see how it fits my granddaughter (Long distance sewing!). The instructions are clear. I don't love tracing the patterns, but the end result was good. Loved the instructions with this pattern. Very nicely done. My only wish is that I didn’t have to trace patterns every time I buy a new one. I have four granddaughters and seems like I do a lot of tracing. I will make this again! I love this pattern! The construction makes for a professionally finished garment and I love the style of it. I purchased it last month and have made over a dozen so far. While the style is simple, it is also very versatile and easy to customize. The sizing in my opinion is very generous. The smaller baby sizes seem to run big compared to some of my other patterns. My daughter chose this pattern for her first day of first grade dress and it was my first time sewing it. It went together so easily, the welt pockets and yoke are perfect for a little fun detail (while staying in the dress code!) and the fit is perfect--loose and comfy for a long day of learning but enough shape to be cute and flattering. I found the sizing true to size and the directions were very clear and easy to follow. I can envision a lot of other opportunities to be creative with this pattern and it's my favorite school dress I've sewn yet--unique but classic--and she got a ton of compliments on it. Can't wait to sew another one! For my coming grandchild, I wanted to use a fabric their parents had brought me from Tokyo, but there wasn't enough for an outfit. This pattern was the perfect answer! It's fun to make and the directions are clear. This is the perfect showcase for those stunning bits of fabric in your stash. I finished this dress for my littlest girl this weekend. It was such fun to sew. I loved how the directions prompt you to finish as you go, so that by the time I got to the side seams, it was almost ready to wear. Very sophisticated fit, too - eager to get started on another! This was the first time I had used one of your patterns. The directions were clear and I loved the finished product, as does the little girl who received it for her birthday! This is the first Oliver + S pattern I've used, and it was great. The instructions were clear and I felt confident as I went through the process. I really took my time to do every single step thoroughly and I was really impressed with the outcome. My daughter loves this dress and I am so proud of what I achieved. I will definitely be making more! Best, cutest dress ever! Easy to follow directions! Easy to order! I will make this again and again! This is my first oliver + s pattern, and I am so pleased I bought it, and pleased with the result. I made the tunic length, with the welt pockets, and cuffed sleeves, in white broderie anglaise, with the front and back yoke, sleeve cuffs, pockets and band around hem in a red and white Scandinavian style pattern. We will be spending Christmas with our 3 y o granddaughter from Denmark, so I thought this would be appropriate. I'm sure I will make more dresses with this pattern. Pattern was clear and easy to use, I'll definitely use O+S patterns again! 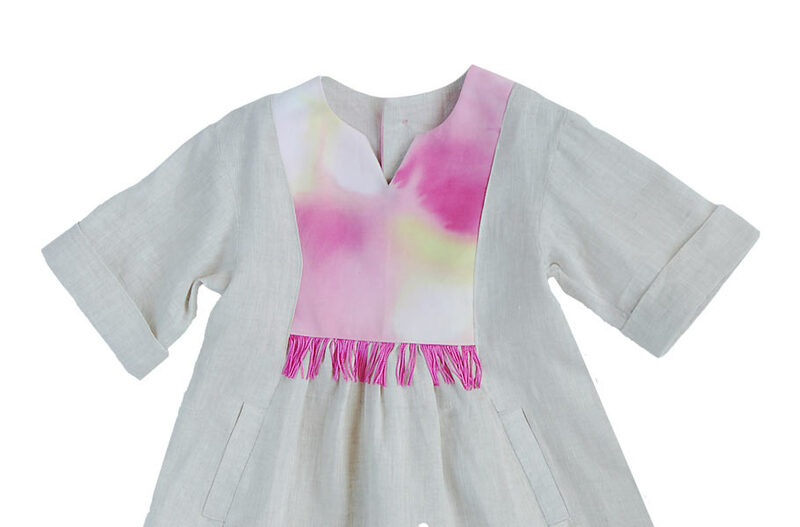 This pattern went together like a dream and turned out just adorable! Love it. I say this everytime I sew a different Oliver S pattern: why did I wait so long? Goes together beautifully, can be made casual or more formal, tons of different options for customization. Instructions and fit are spot on. Love it! I made a top for my grandaughter. Directions were great and easy to follow and the fit was spot on especially if you go by measurement chart. 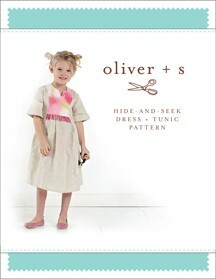 This is my first Oliver + S pattern and I made the short sleeve tunic for a 10 year old girl this weekend. I found the pattern and instructions very straightforward and simple to use. I'm looking forward to making this again soon! Good instructions, but I made the inside of the yoke more finished. I like the short sleeved version, but the cuffed sleeve falls at an awkward place on the arm. LOVE the pockets. Having read the glowing reviews, my expectations were high....instructions were okay. Felt the design could have gone one step further and made the bodice lining more finished so the seams were hidden inside the facing. Overall, felt the style was was just okay. Bought a second pattern which has yet to be down-loaded. Will see how that one goes. Not sure I would purchase this pattern if I had to do it over again. 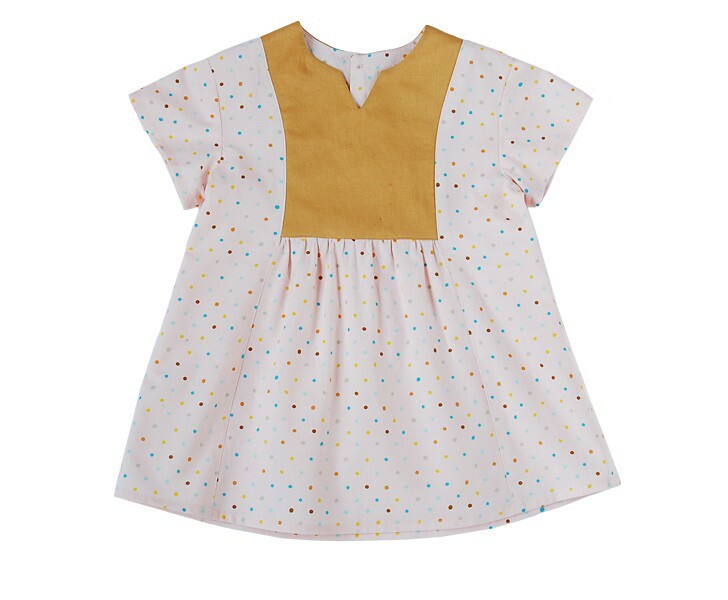 I am a grandmother who made clothing for my 3 children and am now having fun sewing for my 3yr old granddaughter who lives overseas. Not being able to measure her up in person, I made a size 3T based on the size guide and finished measurements, and it fitted her perfectly. I will go up to size 4 for the next one. This pattern was a delight to make up, the instructions were clear and easy to follow, and everything went together perfectly, even the welt pockets, and the sleeves were a breeze to fit. The difficult thing was choosing what fabric combination to use, with so many creative options (I had searched the internet for inspiration from images posted by other dressmakers!) I love this pattern and my granddaughter loves her dress. Thank you. I just love this pattern! 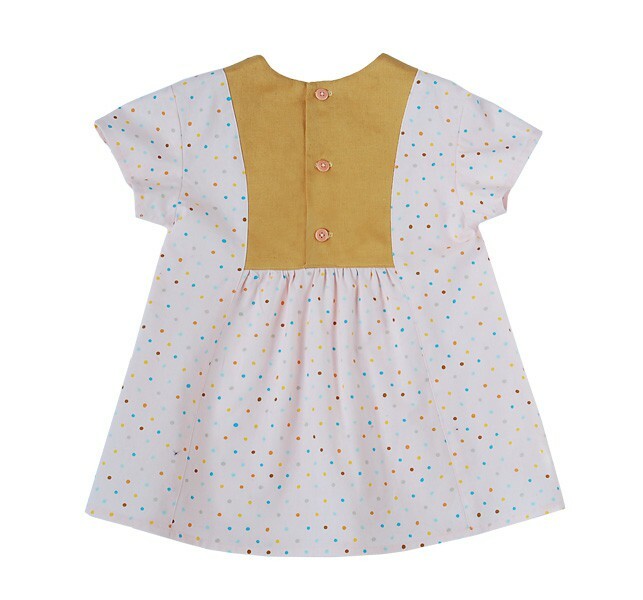 I am a home taught seamstress and love to sew things that are quick and simple for my kids. This one fits that criteria, plus it is so fun to personalize. I made one with knit & added Pom Poms! Would highly recommend this pattern to anyone. I am a self taught home sewer,sewing for my girls thirty years ago and now sewing for my sweet granddaughter. This was my first O&S pattern and it came out great. Easy directions, and even an online tutorial to help! Couldn't be more pleased with the result and my daughter said she liked it better than any other dress I have sewed for her and I have made quite a few. A favourite in our house! I love how quickly this dress comes together. As always the instructions are clear and concise. The real fun in making this dress/top is picking out your fabric! 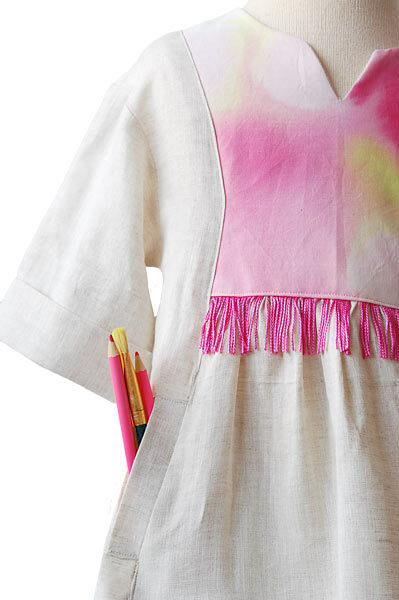 It provides such a wonderful opportunity to highlight a special fabric. My two girls love it when they peek into the pockets to find "secret, fancy pockets." I've just recently purchased the next size up. I didn't want to ponder sewing projects in 2016 without planning out a new Hide-and-seek. As always Oliver +S comes through with a winner. Plenty of room to get a little creative and a little crazy with the top/dress. And you can make it fun, cool, exotic, dressy or casual. I have made it fun and not too girly girl as that is how my grand daughter prefers it. But I can Also see it in a soft Liberty of London print with ribbons and looking very feminine. This is a gorgeous pattern and goes together really well. The fit is loose but perfect for play so my daughter is very happy to wear it! I did make an alteration to change the button position from the back to the front so my daughter can do it up herself, but this was just my preference. I highly recommend this pattern! At first glance this pattern didn't appeal to me when published. However, when it started appearing on numerous blogs, I took another look. Gail's (Probably Actually) lovely rendition caught my eye so much I mimicked her fabric choices! Like all Oliver and S patterns, the directions are easy to follow. 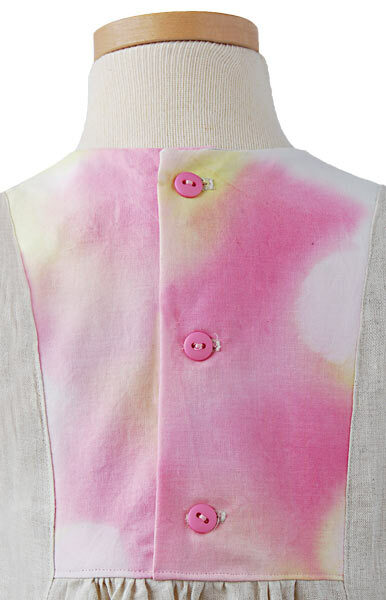 This pattern can highlight a special fabric in a unique way and the welt pockets add another great feature to a simply styled dress. I'll be making this one again! I have made this in size 4 and am about to make it again in a beautiful Liberty Lawn called "Going to the Zoo" as Aurelia is crazy about animals. 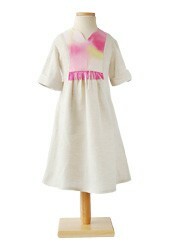 I have also made the Seashore Sundress, Carousel Dress and After School Shirt and Pants. A joy to make - the patterns are great. 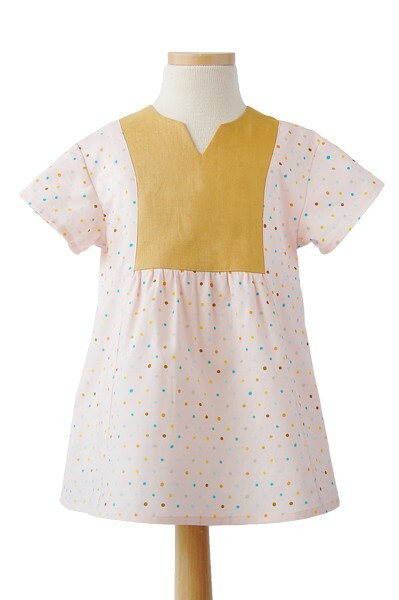 I used this pattern for my daughter's school summer dress and will use it again. She looks so chic in it. There are a lot of seams so it took me a while but it was worth it. The dress seems a little short to me even though my daughter matches the height given for her size so I'll add a couple of inches next time. It would be great if you could give amounts in metric for your European customers. Hide and Seek offers so many fun design possibilities. I made it for my three year old friend and intend to make one each for my granddaughters, age 7 months and 8 years. It is a flattering and comfy little dress. Thank you for this beautiful pattern, which I made in size 6 using view A but with the shorter sleeves. So sweet! I recently made the hide and seek dress. I made it in two different sizes . It was easy to follow it turned out so cute. The only suggestion I have is that the picture shows a fringe on the sample and the pattern doesn't make any mention of that . If you want to add that you just have to remember to add it yourself. It's a classy and sweet dress. This pattern has great shape and beautiful lines. I have just finished the tunic and it was a very quick and easy sew. I can't wait to make it as a dress for autumn! Despite the welt pockets, this tunic (I haven't yet made it in dress length) is a quick sew -- I think I made three in the first week that I got it. The pockets are a big hit with my 5yo girl, plenty roomy for treasures. The fit is roomy and very comfortable while the yoke, which uses very little fabric, is a perfect spot for featuring something done by hand or something precious of which you have only a bit. You could get a lot of looks from this depending on the trim and fabric and buttons you chose, from very casual to quite elegant. One version I made has people ask me if I bought it at Anthropologie nearly every time she wears it. I bought this pattern to make a black witch dress for my daughter to be Kiki from Kiki's Delivery Service for Halloween. I used the long sleeves without cuffs and didn't use a contrast fabric. The shape of the dress is perfect for the character, and adorable on my daughter. She is wearing 4T and 5 size clothes (100s in Hanna Andersson) and I made her the size 5 dress for an oversized look. The instructions were well written. I recommend printing them 2 to a page to save paper, the font is still readable. There were lots of details to make a nice piece of clothing and not just a quick sewing project that looks homemade. I'm searching through fabric.com to find the right fabrics to make more of these dresses. 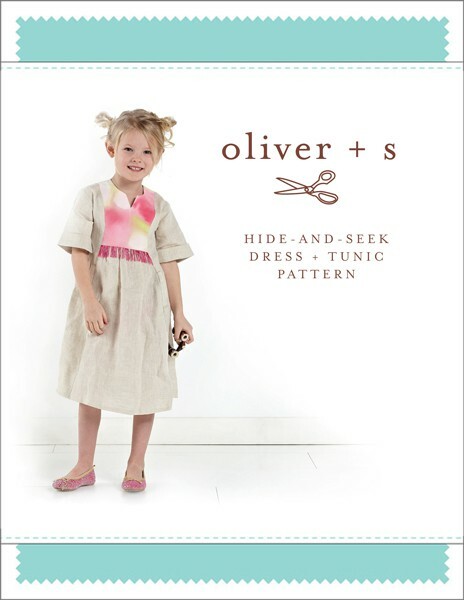 Discussion on the hide-and-seek dress + tunic sewing pattern from the Oliver + S Discussion Forums. Find and share more photos on Instagram using the hashtags #hideandseekdress and #oliverands.